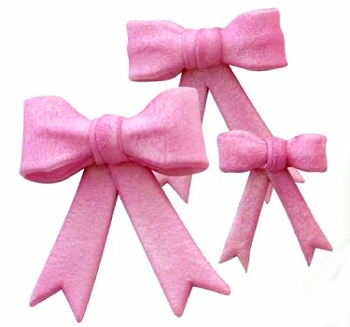 Create decorative Bows with tassels, quickly and easily with these specially designed cutter sets. 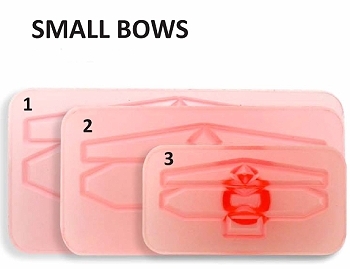 Small Bows Set 1 - cutters produce 3 different bow sizes; 3/4", 1 1/8" and 1 1/2" wide. 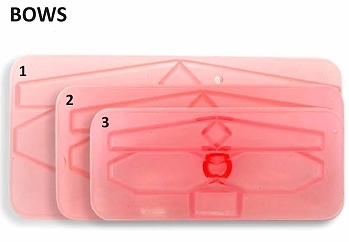 Large Bows Set 2 - cutters produce 3 different bow sizes; 1 3/4", 2" and 2 1/2" wide.